Does Hearthstone’s 20 year content plan include co-op mode? Combining two Hearthstone headlines for maximum efficiency. Self five. Hearthstone is going to keep growing and changing for two decades, apparently. “We want Hearthstone to be around for ten to 20 years. 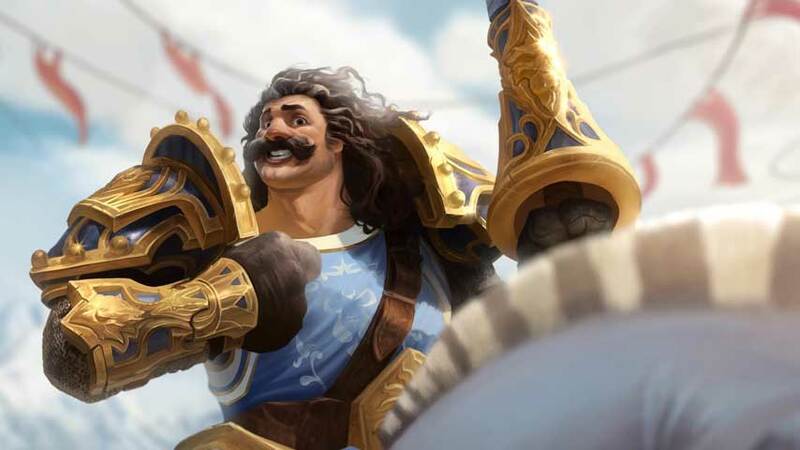 That’s what Blizzard does,” senior game designer Mike Donais told Gamespot in a lengthy interview on the card battler’s new expansion, The Grand Tournament, and more distant future. The developer doesn’t have a concrete plan for how it will move Hearthstone forward in that time, but intends to remain flexible. “We’re going to figure what our plan is as we go. We’re going to see what people feel they need, what they expect, what they want, and what’s healthy,” Donais said. VO_HRW_TEST_01 – Well done! You’ve defeated the boss together.\n\nBoth players win! VO_HRW_TEST_ABILITY_05 – Dealing damage to both heroes. The code is clearly marked “test” so there’s no guarantee co-op will eventually turn up in-game; I’m sure Blizzard prototypes plenty of experimental features.